Many people would say cancer is their worst fear, but few actually take all the steps available to prevent, catch, and treat cancer as quickly as possible. Treating cancer early is a huge factor in your chances of making a complete recovery, so regular screenings for common types of cancer are very important. 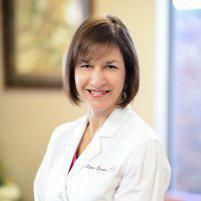 Lilette Daumas, MD, can perform many of the most common tests at her Houston, Texas, office. Call Dr. Daumas today to schedule a screening or make an appointment online. Cancer refers to a number of diseases that involve the development of abnormal cells that divide uncontrollably and destroy normal tissue. It’s the second-leading cause of death worldwide. Thanks to advances in cancer screening and treatment options, however, survival rates for many types are improving. While these symptoms can indicate cancer, they can also indicate many other conditions, so don’t panic if you meet one or more of these criteria. What are the most common screening tests for cancer? A number of cancers can be identified by taking screening tests, allowing you to detect cancerous cells and begin treatment as early as possible. A mammogram is the best way to catch breast cancer as early as possible, as it can detect lumps in your breast before you would be able to feel it in a self-exam. A Pap smear finds abnormal cells in the cervix that would indicate cervical cancer. Women should get these in a regularly scheduled visit to a gynecologist or family medicine practitioner. Regular colonoscopies help to identify polyps, small growths that occur in the large intestine that are the most common cause of colorectal cancer. Once you’ve turned 45, it’s a good idea to have a colonoscopy every couple of years. An annual lung cancer screening is recommended for those over 55 with a history of heavy smoking. Typically this involves a low-dose CT scan to check for signs of tumor growth. Many of these tests are minimally invasive and can be done with little to no downtime, but each one can provide lifesaving information. To schedule an appointment for a cancer screening, call the office today or request an appointment online.